Opioid Fact Sheet – Ten things patients should know about the safe use of opioid (narcotic) pain medications for safe postoperative pain management. Download the PDF. Emergency Room Fact Sheet from Empowered Patient and Leahs Legacy – A visit to the Emergency Room often leaves patients and their advocates feeling unprepared and vulnerable. This fact sheet provides basic information about the steps to take before, during and after an ER visit. Download the PDF. Who’s Who In The Hospital – Being a patient or having a friend or family member in the hospital usually causes plenty of unease on its own. 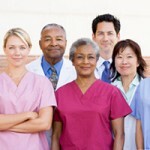 But the dozens of health care professionals buzzing around can be overwhelming. Here’s a who’s who among the staff to keep you informed. 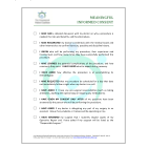 Download the PDF. Meaningful Informed Consent – is the process by which a fully informed patient can participate in choices about his or her health care. It originates from the legal and ethical right the patient has to direct what happens to her body and from the ethical duty of the physician to involve the patient in his or her health care. 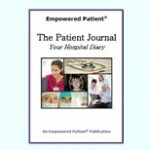 Patient Journal – The Empowered Patient Coalition Patient Journal is made up of a series of custom forms designed to assist you in organizing your medical information and your own observations. A selection of inspiring, influential, and highly informative books, journals, and articles. 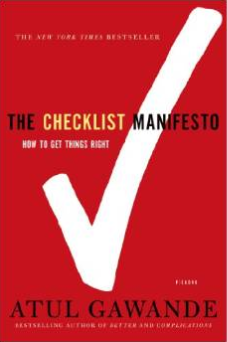 The Checklist Manifesto: How to Get Things Right by Atul Gawande, M.D. Today we find ourselves in possession of stupendous know-how, which we willingly place in the hands of the most highly skilled people. But avoidable failures are common, & the reason is simple: the volume and complexity of our knowledge has exceeded our ability to consistently deliver it – correctly, safely or efficiently. 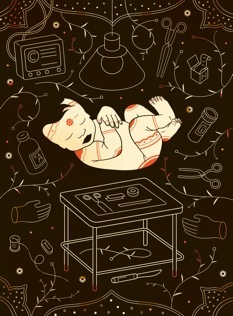 In this groundbreaking book, Atul Gawande makes a compelling argument for the checklist, which he believes to be the most promising method available in surmounting failure. Whether you’re following a recipe, investing millions of dollars in a company or building a skyscraper, the checklist is an essential tool in virtually every area of our lives, and Gawande explains how breaking down complex, high pressure tasks into small steps can radically improve everything from airline safety to heart surgery survival rates. 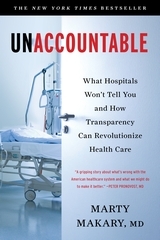 Unaccountable: What Hospitals Won’t Tell You and How Transparency Can Revolutionize Health Care by Marty Makary, M.D.Over the last ten years, neither error rates nor costs have come down, despite scientific progress and efforts to curb expenses. Why? To patients, the healthcare system is a black box. Doctors and hospitals are unaccountable, and the lack of transparency leaves both bad doctors and systemic flaws unchecked. Patients need to know more of what healthcare workers know, so they can make informed choices. Accountability in healthcare would expose dangerous doctors, reward good performance, and force positive change nationally, using the power of the free market. It is a book that can’t be put down. 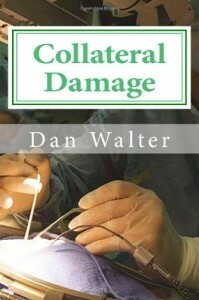 It’s a fast read, and it will have you gasping and disgusted by the healthcare system. It once again reinforces that big healthcare brands don’t mean that you will get the most expert care or humane treatment. I am amazed that this book hasn’t been more widespread: should be a must read for all medical students as part of their ethics courses. How Do Good Ideas Spread by Atul Gawande, M.D. An intriguing article that covers the history of anesthesia, the struggle of modern medicine to solve big problems quickly and effectively, and how technology can play a role in expanding patient safety in the future. Engaged Patients is a consumer and advocate-led project to inform, engage and empower you to feel comfortable and even confident in taking a greater role in your own health care. Engaged Patients believes that excellent tools, technologies, and strategies empower people to be better informed and more engaged in every health care encounter. Engaged Patients has worked for over a decade creating patient education resources and building relationships in the patient advocacy community. Continuous electronic monitoring: all patients receiving opioids should be continuously electronically monitored with oximetry & capnography. False alarms & fatigue: hospitals & other healthcare facilities must address & reduce alarm fatigue for improved patient safety. Ease of patient assessment: by utilizing technology that incorporates multiple physiological parameters into one. Eliminating preventable errors & reducing healthcare costs: eliminating preventable errors & reducing costs. 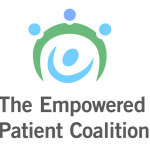 The Empowered Patient Coalition was created by patient advocate Julia Hallisy & is devoted to helping the public improve the quality & the safety of their healthcare. The coalition feels strongly that the first crucial steps in both patient empowerment & patient safety efforts are information & education. With this goal in mind, the Coalition provides both consumers & patient advocates a clear understanding of the importance of forming interactive partnerships with providers & gives them the tools & resources they need to become capable & confident members of the health care team. Patients will be able to experience true patient-centered care & shared decision-making when they have access to the appropriate information, strategies & support. We do this by producing journalism that shines a light on exploitation of the weak by the strong & on the failures of those with power to vindicate the trust placed in them. Mothers Against Medical Error Supporting victims of medical harm, Mothers Against Medical Error is a group of parents whose mission is to promote safety in our medical system. Mothers Against Medical Error provides support for victims of medical harm and works on a variety of projects to further the cause of safer, more effective medical care. Read more about Lenore’s story by Patient Voice Institute.